A client recently asked for suggestions on how to include more fruits and vegetables in his diet. Let me tell you: that request will make a dietitian weep with joy. I’ve already discussed a few ways to turn your meals into veggie- and fruit-fests; for more ideas, see here, here and here. And know you’re treatin’ your body right. I also shared one of my favorite summertime desserts with my client. Sweet, delicious and nutritious – and only two ingredients! 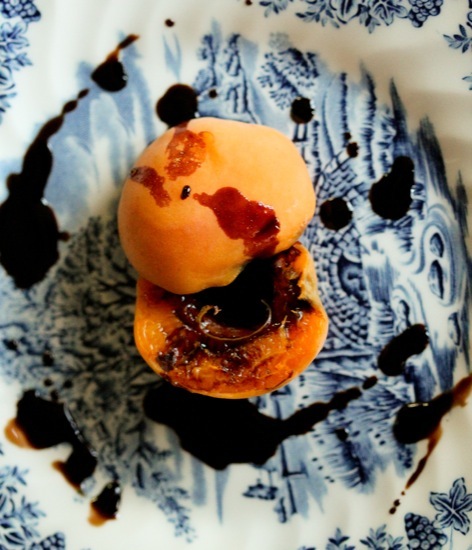 A homemade balsamic syrup over grilled apricots (or peaches or plums) is the perfect finish to a summer BBQ. 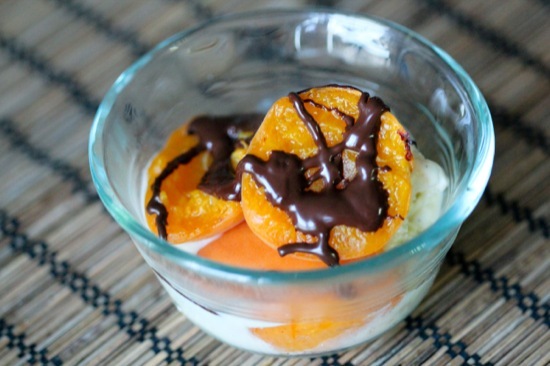 And yes, I just had to feature apricots again. I buy in bulk, after all. 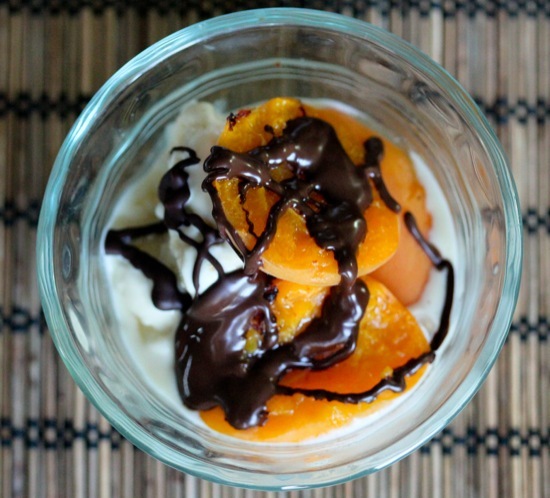 A fun variation: Serve grilled apricots over ice cream and drizzle balsamic syrup or melted chocolate over the top. Simmer balsamic vinegar over low heat in a small saucepan until reduced to a syrup, about 10 minutes. While vinegar simmers, halve fruit and remove pits. Place on heated grill cut-side down. Cook until slightly softened, about 2 to 3 minutes. If desired, flips fruit halves and cook an additional 1 minute. Place on plate and drizzle with balsamic syrup. Note: If using outdoor grill, toss fruit halves in 1 teaspoon olive oil before grilling. 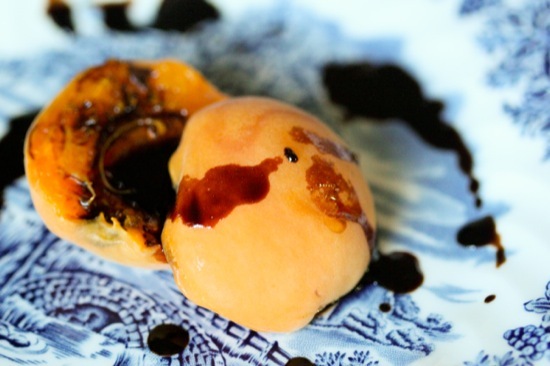 Variation 1: If fruit is not completely ripe, dust fruit halved with 1 teaspoon brown sugar or honey before grilling. 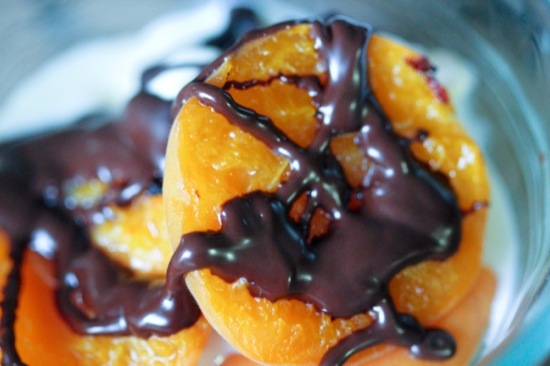 Variation 2: Serve grilled fruit halves with ice cream and drizzled with balsamic syrup or melted chocolate. To end: a close-up of melted chocolate, because why not. 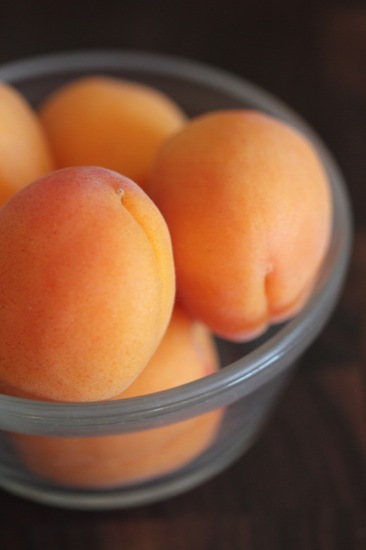 These apricots sound just perfect! We often go a step further toward the simple dessert and just eat fruit plain, but everyone wants some ice cream every once in awhile, right? Yum!! We recently received some apricots in our csa basket. Love these, looks great! Easy and delicious! Grilled fruit is so simple yet so good. Thank you for sharing Jessie. 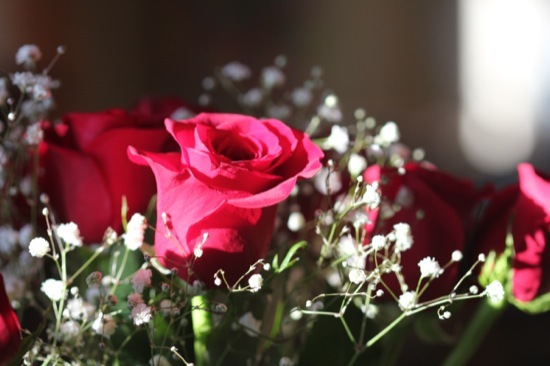 And thank you for your sweet words. You are such an encouragement to me! Looks AMAZING! And ironically I’m making grilled apricots (and peaches) today at work for a recipe demo. I’m serving them with a ricotta cheese and yogurt mixture. Yum yum. You had me at balsamic syrup! I’d be popping these nonstop.